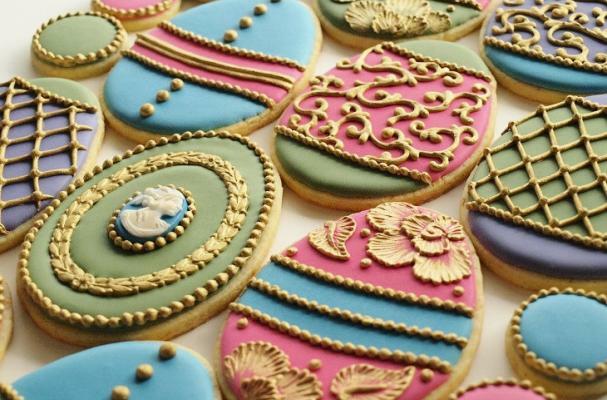 These ornate Easter egg cookies by Amber Spiegel are almost too gorgeous to eat. The cookies feature royal icing and gold details made painstakingly by hand; designs range from lattices and flowers to itty-bitty Victorian cameos. The cookies themselves are made with a batter infused with orange zest, vanilla bean and cardamom. For another Easter treat, check out these miniature sugar eggs.